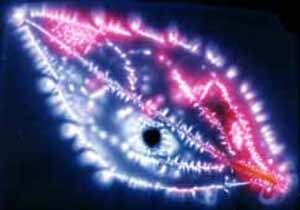 Kirlian proposed and promoted the idea that the resulting images of living objects were a physical proof of the life force or aura which allegedly surrounds all living beings. 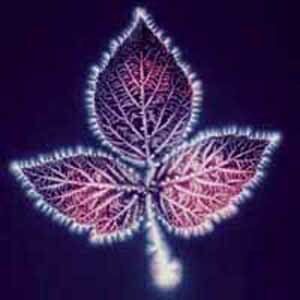 This claim was said to be supported by experiments by the Kirlians that involved cutting part of a leaf off - the Kirlian images of such leaves, it was said, still showed the leaves as whole, as though the cutting had never happened. Researchers at Drexel University, however, have claimed that they were unable to reproduce the effect when the glass used to capture the original leaf was replaced with new glass before the freshly cut leaf was photographed, leading them to conclude that the "cut leaf" phenomenon was caused by microscopic etching in the surface of the glass which occurred during preparing the images of the uncut leaf. They also reported on a number of demonstrable causes such as surface moisture and pressure which can account for much of the variations in color, shape, and size of the resulting image. 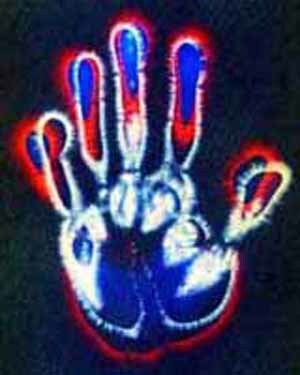 In addition to living material, inanimate objects such as coins will also produce images on the film in a Kirlian photograph setup.In the 1980s, Polish scientist K. Wrona applied Kirlian photography in forensics, specifically dactyloscopy. ExplanationsThe accepted explanation amongst scientists is that the images produced are those typically caused by a high voltage corona effect, similar to those seen from other high voltage sources such as the Van de Graaff generator or Tesla coil. In a darkened room, this is visible as a faint glow; but because of the high voltages, the film is affected in a slightly different way than usual. Color photographic film is calibrated to faithfully produce colors when exposed to normal light. The corona discharge has a somewhat different effect on the different layers of dye used to accomplish this result, resulting in various colors depending on the local intensity of the discharge. 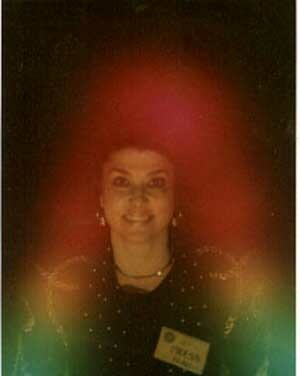 Skeptics of the paranormal have long disputed the claims made concerning auras and Kirlian photography. 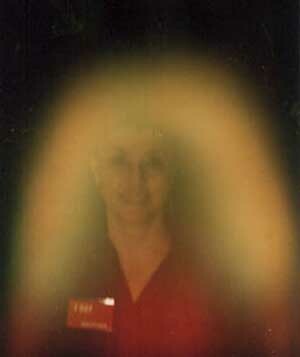 Photos of me taken with an Aura Camera. my Aura at that moment in time.